Firstly, for those who do not know what Ubuntu is I will briefly explain it to you in the shortest way possible. Ubuntu is a type of operating system like Windows and Mac OS. It is based on the Linux architecture. It is probably the most popular Linux distribution currently and Linux Mint is not far behind. So what makes Ubuntu so great? Ubuntu is completely free and it will remain free. It is also open source so anyone can download and modify the source code. Ubuntu is safe and is free from viruses. There is no need for antivirus software on Ubuntu at all. Ubuntu is built to be compatible with almost any desktop or laptop device. It can run on low amounts of RAM which in turn enhances the usability experience of the operating system. There is very little slow down when multitasking between resource intensive applications. You can do almost anything on Ubuntu that you can on Windows. Applications such as Google Chrome, Skype and DropBox can be easily downloaded onto Ubuntu. For other applcations that are only Windows exclusive, Linux provides great alternatives such as GIMP, Transmission and LibreOffice just to name a few. Updates can be easily downloaded and installed from one location without manually going through each software. Like the Android platform, Ubuntu can be easily configured to suit your every need. From custom themes to advanced system tweaking, Ubuntu can satisfy anyone's needs. Ubuntu is a great operating system for Linux beginners to start with. The only major downside to using a Linux operating system is the lack of games and game compatibility. I do not recommend that you replace Windows with Ubuntu if you still want to play games, although you can still either dual-boot or run Ubuntu in a virtual machine. For more information visit http://www.ubuntu.com. This is my first anime review, so I'll try my best in unbiased critical writing. So here I go! Basically, Angel Beats! is a action-packed slice of life anime with a interesting background and plotline. At first glance it may seem to be just another mild action-based slice of life anime, but after watching the first episode, I concluded that this one one well made anime. Right from the start the beautiful artwork and story development captivated me to watch more. The scenes well well thought out and the mysterious circumstances the characters were established was a really good starting point for the anime. As expected in most anime, the background story of the characters are gradually reviewed piece by piece and the whole setting gradually unfolds its truth after a few episodes. I think this is a good way to make the audience keep on watching and discovering new truths about the characters and intentions. A good action anime needs a good back plot. 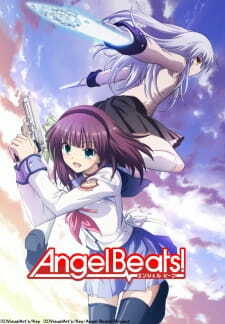 That said, Angel Beats! definitely has this kind of style. The story has features some distinct comedic lines in it but rarely frequent. This anime was meant to be serious and it still is. However, some humorous events were placed throughout the anime which was appropriate in some cases. I really welcomed the idea of a light-action anime series with well thought out comedic scenes. On top of that, some transition between such scenes could have been better. In addition, the placement of music was really well done. The choice of music genre and having a girl band that rocks out hard really gave this anime a good boost of the ratings. I enjoyed every piece of the soundtrack and the background music in some scenes were so well done, I could feel the emotion surging through my body. Overall, I liked this anime a lot. I really hoped that the length of the anime was longer (13 episodes total). Here's a breakdown. The story was well told from beginning to end. Although some episodes tell you about a sole character whilst others tell about the world in general, this anime really did successfully tell a grand story overall. The scenes and background was just stunning. The lighting effects was really bright and the shadows cast from objects were realistic. The change of color tone from outdoors to underground caverns really showed out. The music and background music were superb. I loved the band and their songs! Also, the character voices were not annoying (unless of course it was intentional). The characters were well thought out, The different variety of characters of different persona really made this anime interesting. Although some characters' background didn't get explained properly I still loved them all. I totally loved the anime! It was really entertaining. I loved the band and their songs so much, I've rewatched the episodes just with them in it. If you love high school, slice of life, comedy, action, girls and guns then this is the perfect anime for you. I have not found another anime that contains so much different genres mashed into one. Definitely a must watch! Today, I would like to introduce to you my other interest besides Androids and that is: Vocaloid!! 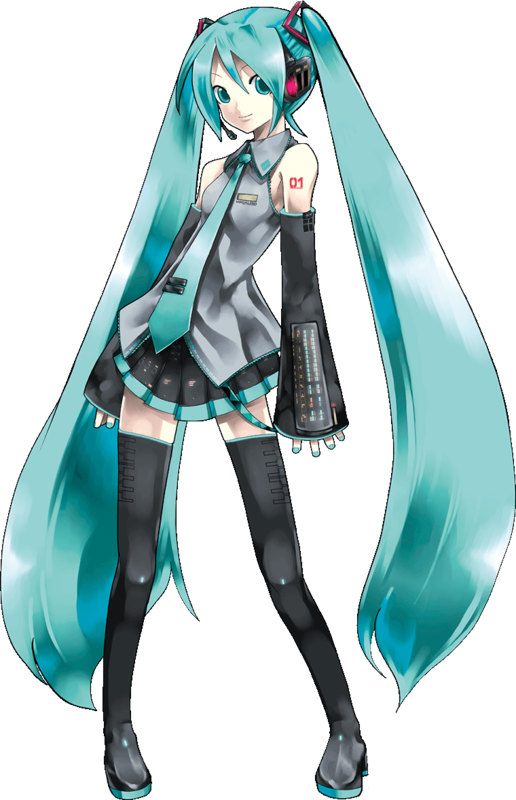 Back to Vocaloid 2, my favourite software/character is definitely Hatsune Miku. You guys may have heard about her somewhere before. She is definitely the best Vocaloid so far in my opinion. Other favourites are Kagamine Rin and Len as well as Megurine Luka. Although I don't listen much to the latter's music, I tend to be more focussed on the music of Hatsune Miku. What makes Vocaloid so great? Well, I thought it was unique in a way to produce music. Using software synthesizer to create human voice sounds and words as accurately as possible. It is genius for such software to exist! I must admit though, one cannot get into Vocaloids straight away from listening only once. It may tend to take some time to get used to the electronic-like voice of all Vocaloids. But in the end, the music is still good, the voices are clearly heard and wide range of genres is quite a collection. I would recommend anyone to start with Hatsune Miku's Melt or Love is War, then slowly progressing through the other Vocaloid songs.